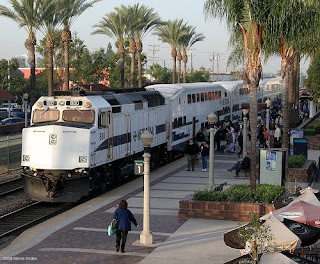 Metrolink, the primary SoCal train system, is offering 4 FREE train tickets for travel in Southern California. LA County and south are where people can utilize these tickets. This means if you want to take the train from downtown LA to San Diego, you can. We, the deal gurus at Qmania, think that this is a crazy deal. Here's how it works. You have a choice on tickets. You can get 4 1-way trips or 2 round trip sets. It's up to you. Think about it. You can take that day trip with your buddies to LA from San Diego. Or you can finally take that romantic getaway with your girlfriend down the coast. We don't know of many other train systems that are offering the same sort of deal. We did write about another train deal that is great for high school students planning on touring colleges. If you find yourself down in the San Diego County area, go here for the best sandwich you'll ever have in your life. Trust us when we say that the Carlsbad Board & Brew is the bomb. Where ever you plan to go, make sure you use a deal and save yourself some cash. We like this Popeyes Hawaii Deal.